The supple dancer moved with elegant grace across the stage. B to draw pictures or patterns while thinking about something else or when you are bored. A simple flex of his muscles proved how strong Arnold Schwarzenegger once was. Dylan flexed his muscles after his workout to see the progress he had made. 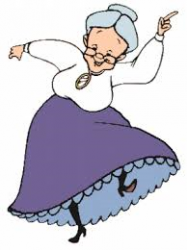 Wilma was unusually spry for an elderly woman, dancing with people less than half her age. Randy slammed on the brakes when the car in the next lane suddenly veered in front of him. Despite the men's best efforts, the heavy boulder still wouldn't budge an inch. The worm wriggled in Stan's hand and almost ended up falling to the ground. Zigzag marks dotted the sand, looking like half-finished triangles. Skiers zigzag constantly in order to generate speed down the mountain. A lewd, coarse, and obscene, but in a humorous way. 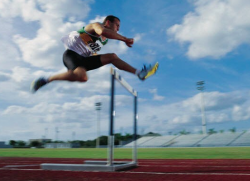 Track and field athletes have to be exceptionally nimble when jumping over high hurdles. 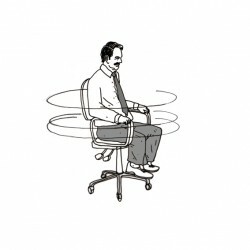 Harold swiveled in his chair and made himself dizzy as a result. 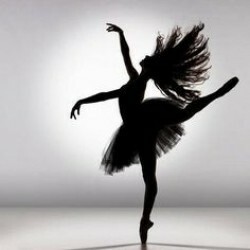 The ballet dancer impressed everyone with her deft footwork.